Before discussing every item and their features, let me remind you of some things you need to consider before making an order. 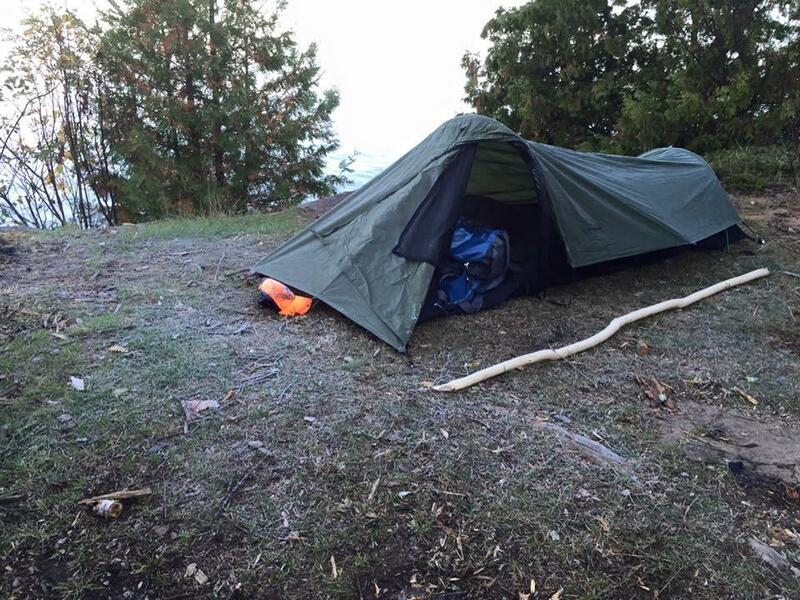 Interior space is not a common problem in solo tents since this type of shelter is intended for just one sleeper. This fact also entails that the tent you will carry will have lightweight which is good news for many campers. 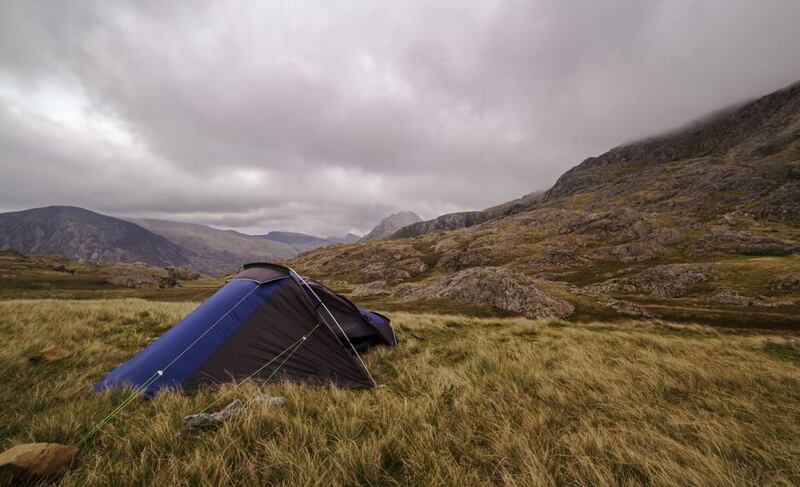 The usual issue with a solo tent is that some manufacturers tend to produce ones which are too small. The size of the tent that you will purchase should depend on your overall size. Most two and a half feet wide tents work well if you are a regular-sized camper as the said tent dimensions will allow you to stretch out with more comfort and not feel tight inside your tent. Smaller ones limit your movement and may cause occasional damage to your shelter which consequently leads to a horrific outdoor experience especially during heavy rains. While choosing the right size depends on your needs and preference, you always have to make sure that the tent you purchase gives you the right amount of space allowance. Hence, if you are a five-foot person, it is ideal for you to buy one which is at least six feet in size. Peak hike is also a must-know factor. Select the one that has the appropriate dimensions to enable you to stand inside your shelter. Lightweight tent makes your adventure a lot easier, and it is one of the most important things to consider. This factor is important, especially if traveling to your camping spot will require you to do a lot of walking. If you ride a vehicle most of the time, you may not necessarily need to take this factor into account. Even so, always remember that you will need to bring this piece of equipment with you for hours or sometimes even days. You may also find a weight of about three pounds for a solo tent may be ideal. 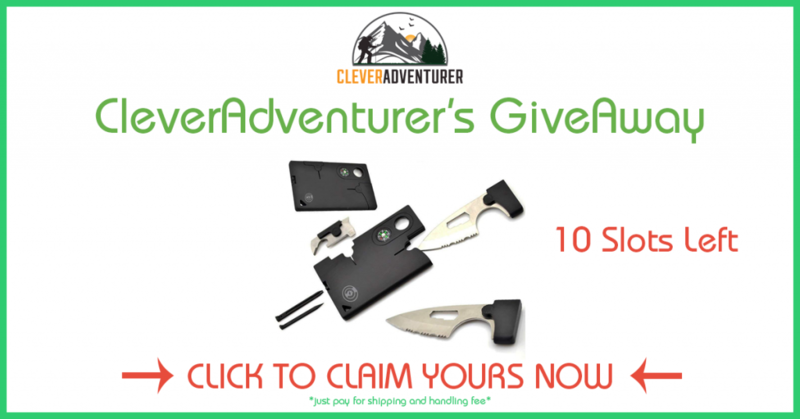 The good news is that there is a long list of lightweight tents available in the market, and you just need to select the one which you find most suitable for your thrilling adventure. 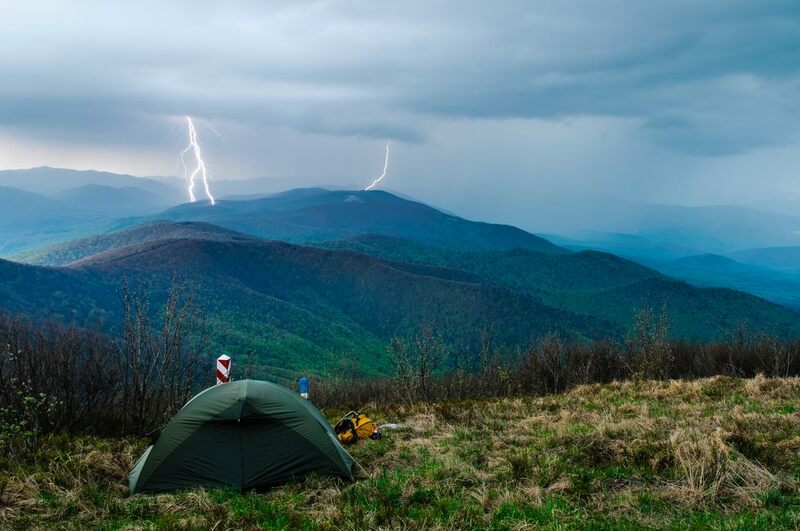 While you may not know the exact weather condition or temperature of your target campsite ahead of time, you can consult the weather forecast to have a close guess. During a humid weather, you will need to prepare a double-layered humidity protection which must be resistant to water to keep you dry and warm. 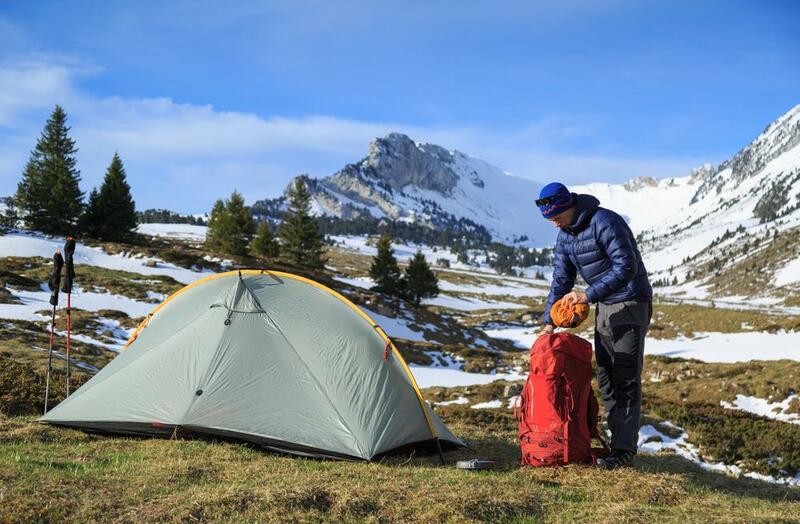 Some solo tents are suitable for cold temperature although a lot of manufacturers also produce items which are appropriate for three seasons. The latter is popular among campers since some of them can resist cooler temperature. Also, some locations only allow outdoor goers during these three seasons. Most quality tents make use of materials which are durable and water-resistant. Advanced technology makes this combination possible which results to tents that are considerably lightweight. Canvas tents are impervious to water although some say they are not a good choice when backpacking due to their weight. Other waterproof materials include polyester and nylon although they are not advisable to use during the summer season. You also need to consider the material of your tent's pole which many believe to be more important than the fabric itself. Choose a tent that makes use of a quality zipper, one which zips correctly and is waterproof. 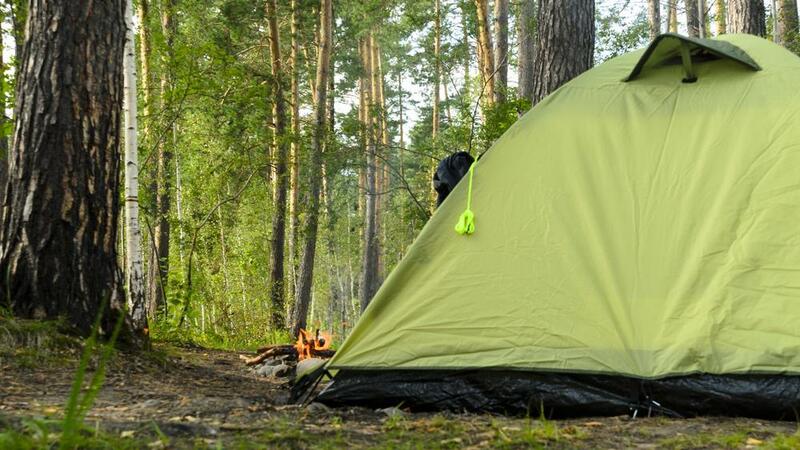 The resistance of your tent to water is a great feature to look for; however, the need for well-ventilated tents become more crucial during summertime. Make sure that your tent is ventilating properly to avoid suffocation. 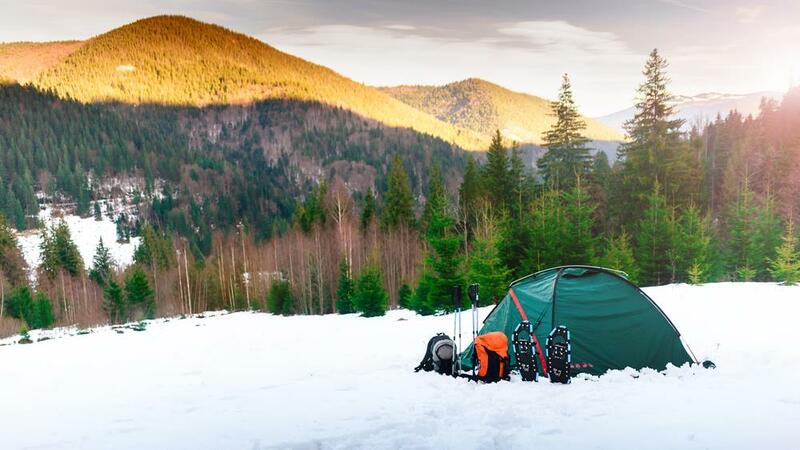 The budget that you will allot when buying a tent depends on how frequent you indulge yourself in the wilderness. Comfortability is also another important thing to take into account. If you are a person who enjoys outdoor activities frequently, you may agree with me if I say that a tent is more than just a shelter. It is also an investment. Thus, you may be willing to spend more to choose a durable product that meets all of your needs. You may opt to buy the one that can withstand whatever terrain or weather condition you will possibly encounter. On the other hand, if you camp, hike, or backpack less often, what you may prefer are those items which are less expensive. This product is a combination of great price and quality at its best. It has two poles which are freestanding, a design which makes it extremely easy to setup and quick to take apart as well. It utilizes 75 D 185 T polyester fly which remains taut, protecting it from any damage caused by harmful UV. This product makes use of a vestibule for extra weather protection as well as gear storage while its weatherproof fly buckles maximize the protection and adjustability it offers. 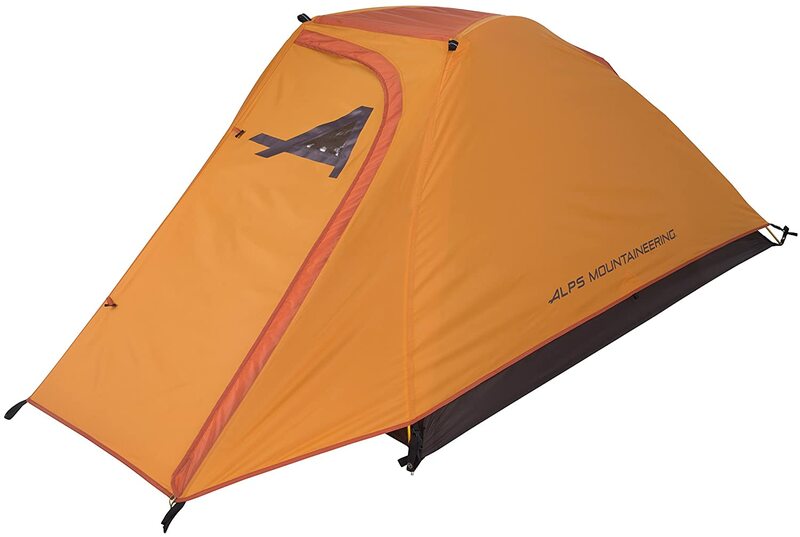 ALPS Mountaineering Lynx Tent has half mesh walls which enhance and adds ventilation, gear loft as well as mesh storage pockets, and it comes with guy ropes and 7075 aluminum stakes. It also contains big #8 zippers on its door and vestibule. The quality zipper also holds the tent securely. This item is one of my top-choice for tents as I find it very comfortable to use. When I am inside, I can always lay down completely unlike the other tents that I have tried where you cannot even get your shirt on. At times, I could also make complete sit-ups, and I would surely not touch any part of its roof. Some of the few downsides other users claim are the rain fly which does not entirely cover the tent. Some say that it has tight quarters. This 3 season tent is another weatherproof product which can surely manage hot, humid summer nights, allowing you to feel a breeze while you are inside your tent because of its walls which are All-mesh. This construction maximizes fresh air as well as ventilation. This item also utilizes free-standing two pole design, and its manufacturer heightens its roof, preventing you from getting cramped up while enabling you to do sit-ups as well without hitting your head on the roof. Regarding setting this tent up, you will surely not have a hard time in doing it because of the clips which snap over its poles. This item does not also require extra weatherproofing because of its factory seam-sealed rain fly and floor. Like many other tents, its rain fly is 75D 185T polyester which stays taut when the tent gets wet and prevents damage from UV rays. It has large #8 zippers. If you will ask me if this tent is unique, my answer is a resounding yes. This item utilizes an extra room head which makes it a little larger. 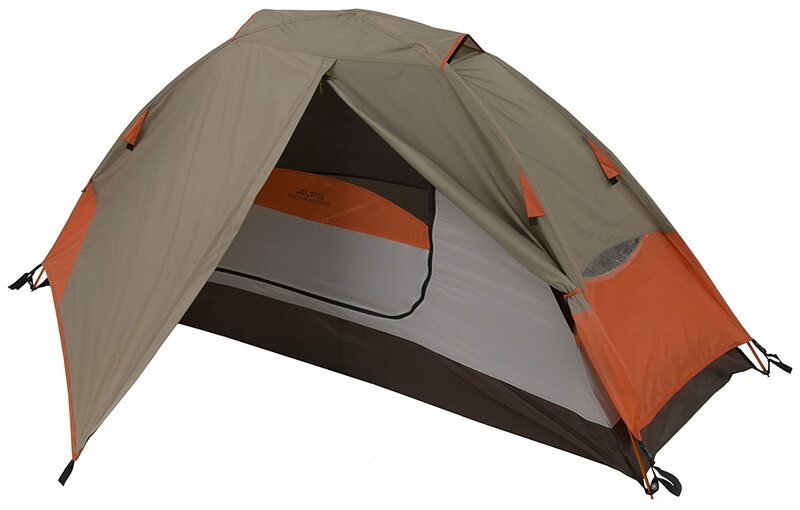 This feature is not common among one person tents, so if you think inside space will be a problem with the item I mentioned earlier, then this product is what I can recommend. Overall, this tent is resistant to many extreme weather conditions although owners of this tent say that water tends to drip down into it after rain. I also suggest that you use a tarp for floor protection. 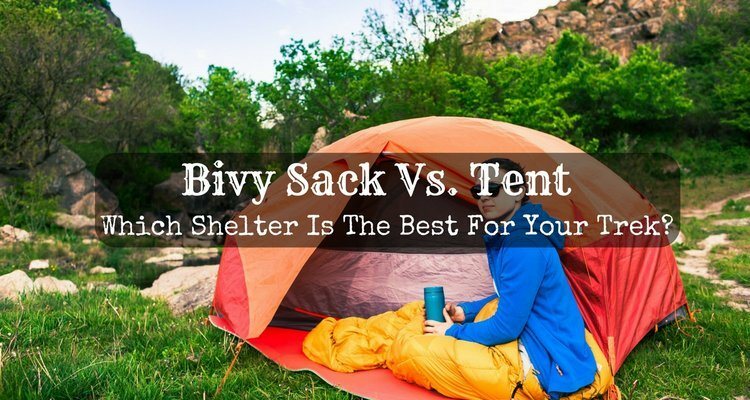 If the first two products do not meet your budget, you may want to consider this another quality tent. This item is another waterproof product that utilizes 20D grid nylon, a feature which is effective in reflecting and absorbing sunlight to protect you from Ultraviolet light and the hazards you may get from exposure to it. The coating which is PU waterproof, as well as the stitching tape, make the tent able to withstand any adverse weather conditions while keeping the tent's interior dry. Another feature which you will also immediately notice is the tent's innovative design. This item has a fluorescent tent buckle straps which are useful for quick night time access. 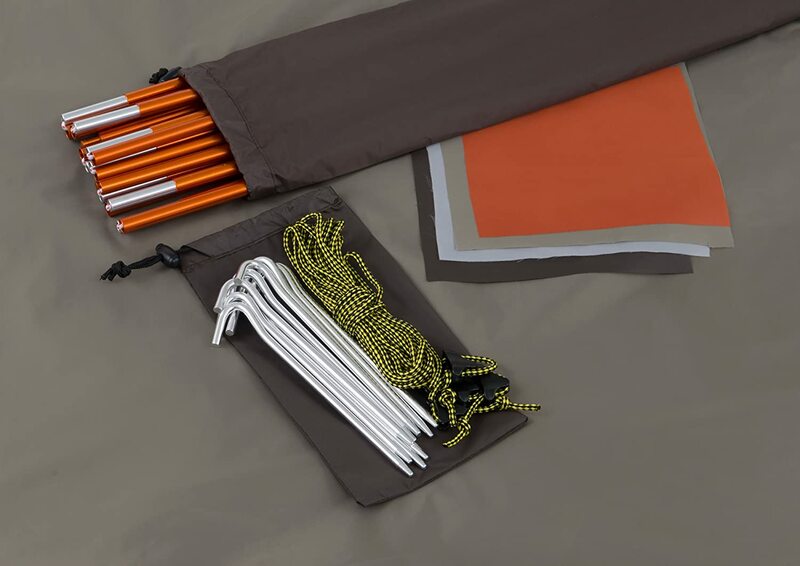 The manufacturer of this tent also added a top hook, making it easy for you to hang light as well as an interior mesh pocket for you to quickly grab smaller items. When it comes to ventilation, this tent makes use of 2 aligned double-layer doors that also has double pull slider, allowing you to enter and come out of the tent easily. Rest assured that you keep yourself protected from the biting insects while having an excellent view and airflow because of its roof and mesh doors which are airy nylon polyester. The construction of this tent is mostly premium nylon and polyester cloth which has anti-corrosive aviation-grade aluminum poles, offering strong structure to ensure that it remains durable. This tent is very portable because of its ultra-lightweight construction that includes a carrying bag. You can surely set it up too in just a few minutes. 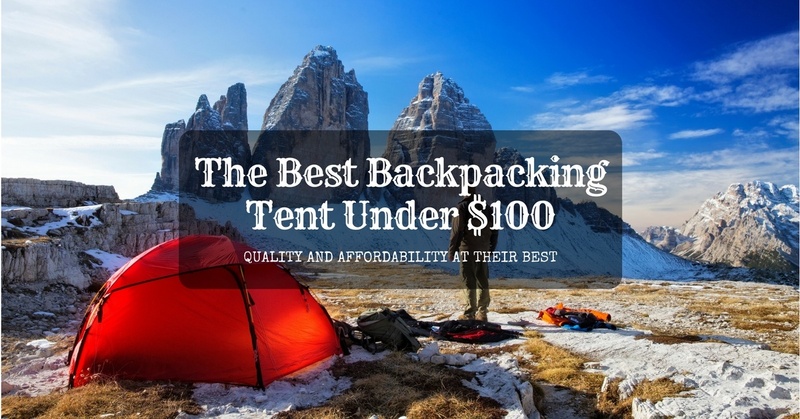 Many consider this item an excellent tent for its price although some say that it tends to be tight to close, and while it is very easy to set up, some owners claim that they find a hard time in disassembling it. 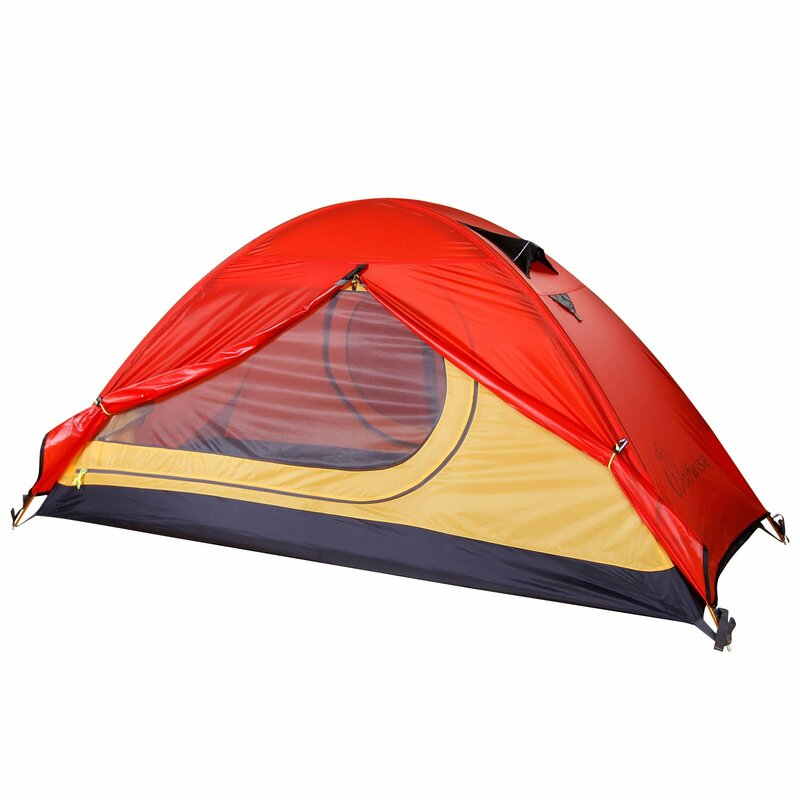 This very popular lightweight tent is appropriate for any types of outdoor activities. It is another two-layer tent which means that it can protect you from biting insects. The construction of the inner tent is 190t Nylon with Polyester Mesh. 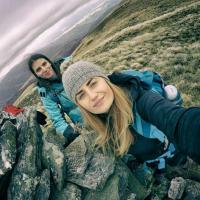 This hiking gear has a 5000 mm PU coated fly which means that it has a thin film of polyurethane to its fly fabric; thus, it creates polyurethane laminate. This thing is a very usual way when producing waterproof tents. If you want to protect yourself properly from the rain and upgrade to a quite more pricey yet quality tent, I recommend this one for you. 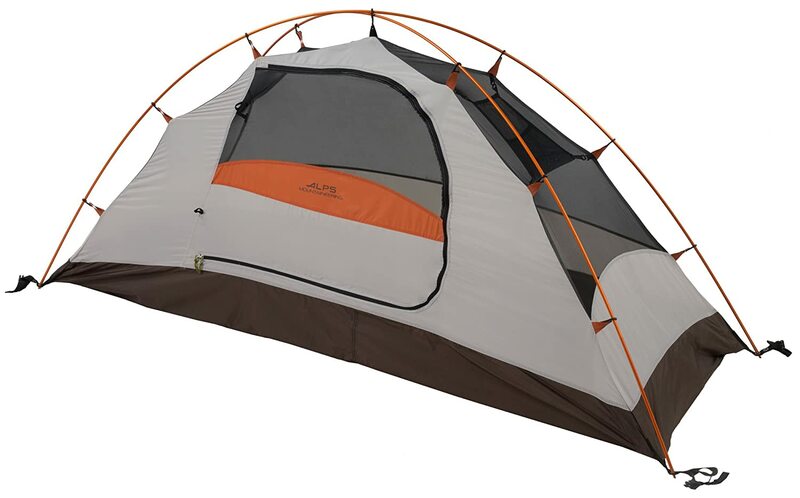 You can get this 3-season tent with a repair kit upon purchasing it, and it has 2 DAC Featherlite NSL anodized aluminum poles with press fit connections. With its simple design, it makes setup relatively easy. If you familiarize yourself with this outdoor equipment upon reading its directions, you can surely set it up in just 5-15 minutes. 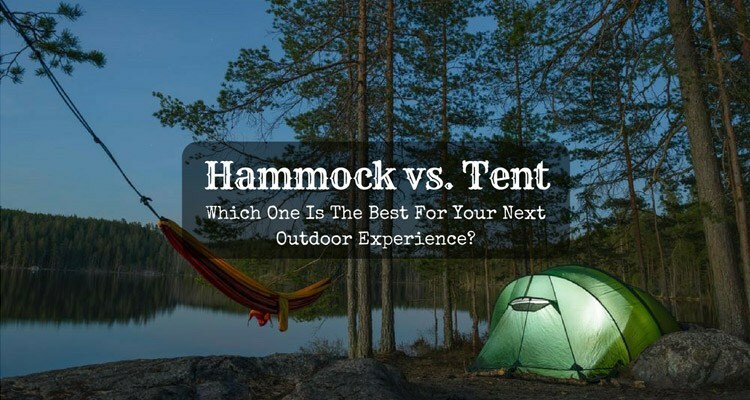 Despite the fact that this piece of equipment is one of the great and luxurious products that are available on the market, this tent is not free standing because when you pitch it, you have to anchor it first to the ground. This matter can be difficult when you use it on a rocky terrain and gravel. Apart from that, it is not suitable during winter situations. 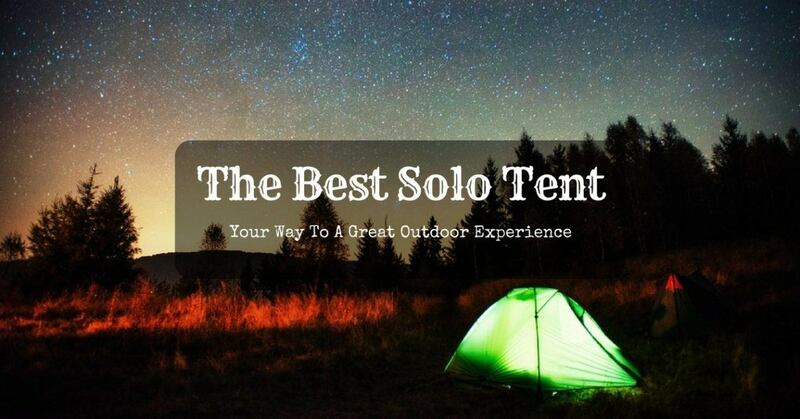 Like any other products, choosing the best solo tent will save you a lot of money, time, and disappointment. And while there are several items available in the market, it is always important to remember that they key to finding the right product depends on your outdoor needs and preference. Meanwhile, the ones I just listed are the best of the best. So, if I have to choose one, which among these products will stand out from the rest? Although this decision may be quite difficult, re-examining what each item can provide makes it easier for me to decide. With its ability to withstand any weather plus the comfort and convenience it can offer, ALPS Mountaineering Lynx will surely make your adventure a more satisfying and enjoyable experience. Also, the 75 D 185 T polyester fly that it utilizes will surely give you maximum protection while its half mesh design guarantees to offer optimum ventilation. With all these wonderful features, I can say that this quality tent is indeed a great investment.